When life hands you lemons, squeeze those suckers for dear life and drain all the sour goodness you can from them. Lemons, and more specifically warm lemon water, are a beauty and nutritional powerhouse you need in your life. So what’s all the fuss about? Lemons contain pectin fiber which is very beneficial for colon health and also serves as a powerful antibacterial. It balances maintain the pH levels in the body. Having warm lemon juice early in the morning helps flush out toxins . It aids digestion and encourages the production of bile. It helps prevent the growth and multiplication of pathogenic bacteria that cause infections and diseases. It helps reducing pain and inflammation in joints and knees, as it dissolves uric acid. The potassium content in lemon helps nourish brain and nerve cells. It strengthens the liver by providing energy to the liver enzymes when they are too dilute. It helps balance the calcium and oxygen levels in the liver In case of a heart burn, taking a glass of concentrated lemon juice can give relief. It is of immense benefit to the skin and it prevents the formation of wrinkles and acne. It helps maintain the health of the eyes and helps fight against eye problems. Aids in the production of digestive juices. 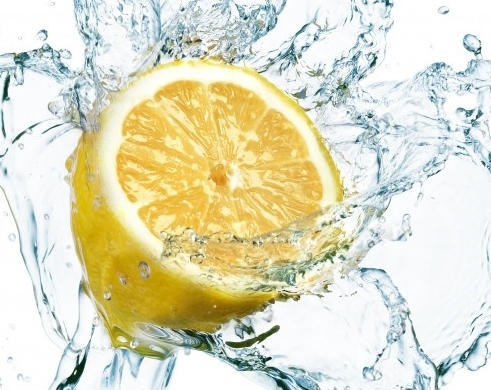 Lemon juice helps replenish body salts especially after a strenuous workout session. Most importantly, drinking lemon water, first thing in the morning, has been proven to decrease bloating. On that note, I’m headed to Whole Foods.